A while ago now one of my lovely readers suggested I watched Money for Nothing. I'm not sure how I'd never caught the program before but I soon had this on my planner and watch it whenever I had a spare hour or when I was crafting. 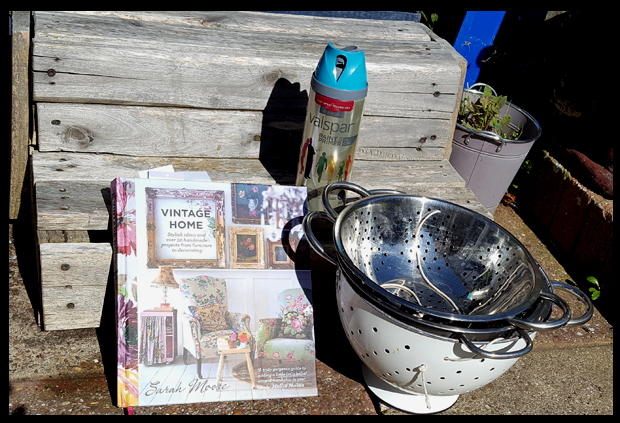 When I saw that Sarah Moore, who is the presenter and skilled crafter of the program, had a book out I thought I'd purchase it for inspiration and helpful tips. 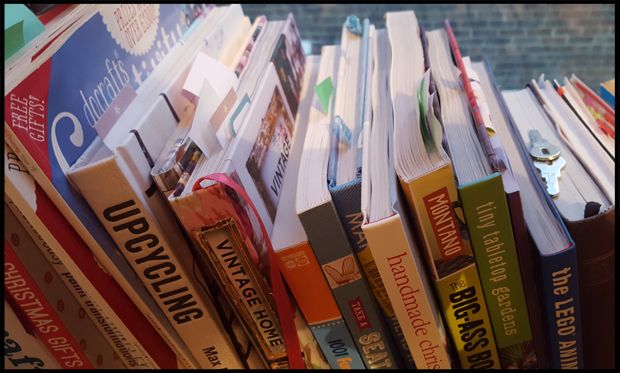 Like lots of my books, I've earmarked several pieces that I want to try, the first being a veggie rack made from colanders. 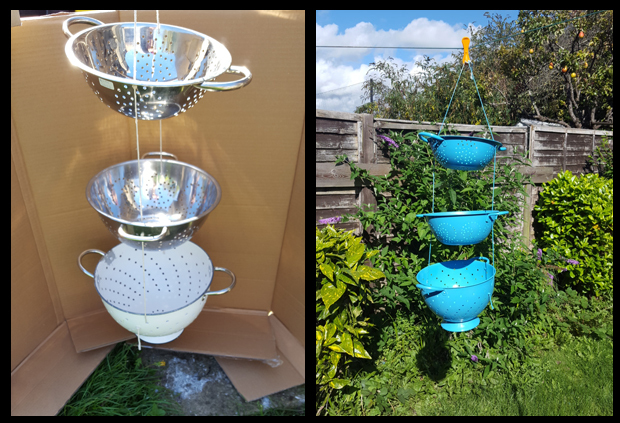 Colanders were added to my charity shop/car boot wish list until I found and bought 3 of them. In total I spent £3 and with some string, I made my veggie rack. It sat in the kitchen waiting to be hung up for 3 weeks, in truth I didn't really have anywhere sufficient in the kitchen to hang it. Then, I sorted out my son's bathroom toys and realised I had the perfect storage unit for them.... waiting to be hung up in the kitchen! As I was no longer going to use my colanders as a veggie rack I painted them. I have to admit I do love them painted blue! 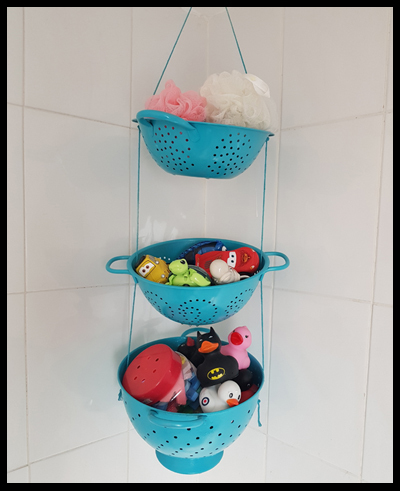 I added a hook in the bathroom and now my veggie rack hangs in the bathroom filled with toys and sponges - great space saver. That top colander is too high for my son and hence the storage of my sponges, some things I just don't want to share... with the boys!